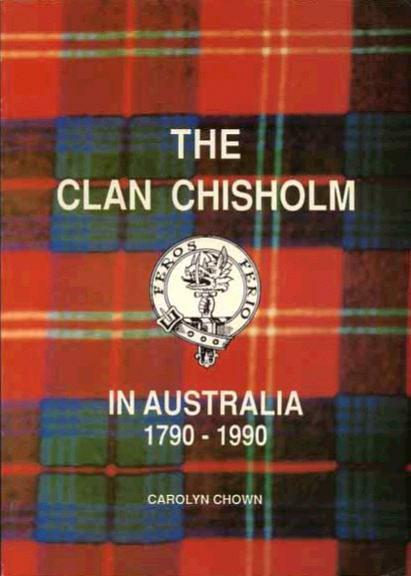 This book collects stories from Chisholm descendants in Australia since 1790, three years after the settlement of the colony New South Wales, on the east coast of Australia. Families supplied their recollections, family history dates, photographs etc., and the offerings were compiled into similar format to give some continuity to the book. Emigration from the UK to Australia came in waves, starting with the early settlement days and progressing on. The first settlers were amongst the early pioneers who endured the rigors of the early days of New South Wales in an isolated and harsh corner of the world to establish their families and livelihoods. The second wave came in the 1830s when Australia was encouraging immigration. These brave people also pioneered settlement in the farming areas. 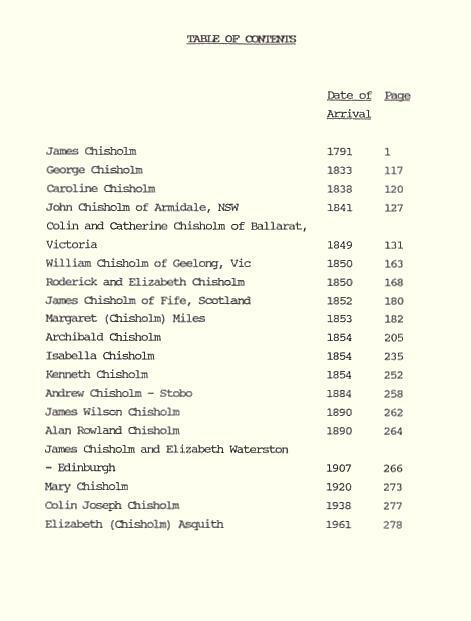 In the gold rush period, in the 1850s and 60s, many Chisholm families came to Australia. Once again they suffered the hardships of life in the mining settlements, and many went on to open farming areas in the more remote Victorian and New South Wales areas continuing the pioneer spirit. Over the last 200+ years all have made their contributions, whether as public names, as unsung heros, or as private citizens. All have an interesting story to tell, and our book gives an insight into some of these lives. Now, unfortunately, the book is out of print; however, I am able to offer extracts to any potential purchasers. For more information, please contact Carolyn Chown.